Is Storytelling a Part of Your Learning Design? Aboard a recent flight from New York to San Francisco, I watched the new United Airlines safety video. Yes, I watched it because it was not only a smooth piece of marketing for the airline, but it was also an improved means of teaching or reminding passengers about airline safety. The video was a well-crafted piece of storytelling and held my interest as I heard each of the characters tell their part of the story. Storytelling has proved its value as a teaching tool time and time again, but just how much of a place does storytelling have in today’s learning culture? 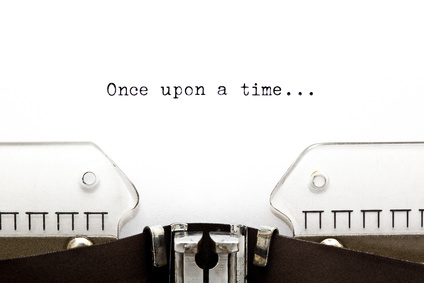 How do we define storytelling nowadays? 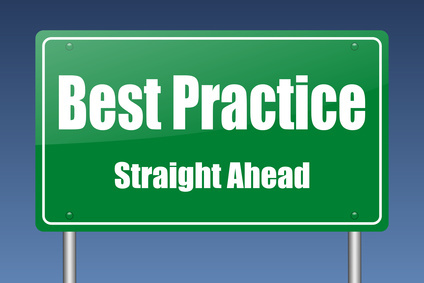 How do we adapt best practices to meet the needs of the millennial learner-employee? Expert stories are used in a number of ways in the development of training and performance support content. An expert story might provide the basis for the learning design, as a foundation from which objectives are extrapolated and around which the training content is presented. This is frequently the way most training design begins. Sometimes this is referred to as the “brain dump” in situations where the expert shares what s/he knows and the learning designer “takes it from there,” building a learning design around those objectives in a series of presentational screens or PowerPoint slides. Interactivity may be introduced at varying levels to make the experience more engaging. In other situations, an expert story may become a part of the training itself, either in the form of video clips integrated within the learning design itself, or as the main component of a course or learning module, around which activities such as assessments and discussions may be designed. “The expert clip” (those video clips of varying lengths) can also be included as part of a more extensive knowledge base, tagged and categorized as appropriate for maximum findability to be accessed by learners and employees on an as-needed basis in order to complete training or on-the-job tasks. All of the above examples use stories to illustrate effective decisions made and lessons learned. 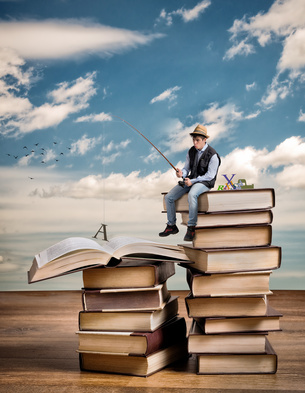 There is a more learner-centric use of stories, and that is the participation of your learners in the story in order to actually practice effective decision-making, perhaps fail, and receive remediation and feedback as part of the skills-building process. While “illustrative storytelling” can support learners and employees engaged in specific tasks, it’s the “immersive storytelling” that is going to place them within a task for the sole purpose of actually simulating the doing of that task in a safe environment. And while immersed in that practice task, your virtual characters are still going to need the support of an expert to guide them safely to goal. So it’s not an either-or situation but rather a matter of how safe and appropriate it is to let your learners loose on the specific tasks at hand. Today everyone can be an expert and contribute their stories to the knowledge base whether as part of small group interactions in the classroom, online discussions as part of a synchronous learning experience, or within the workplace in the form of content shared within a company portal. When we consider today’s learners and our audience within the workplace, we know we need to provide learning content in appealing doses and formats. While a talking head may not be enough to sustain a 10-week college course, it might be just the right thing for a salesperson looking for quick advice on how to meet a specific type of customer objection, for example. And if that salesperson is a new hire, it might just be appropriate to immerse him in a 30-minute scenario where he can practice meeting different objections and fail safely within the confines of the learning experience. 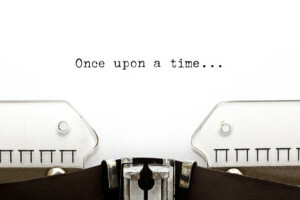 Stories come in many different formats and serve different purposes. What they all have in common is that they can play an integral role in increasing understanding and driving performance across the educational continuum. Stay tuned for more stories from Designs2Learn. And if you’d like to see more about that new airline safety video, Forbes has a nice piece on it, including the video itself here. This entry was posted in 70:20:10, Corporate Learning, K-12 Education, Learning Design, Storytelling on September 25, 2014 by Sheri Handel. This week we’re kicking off Designs2Learn’s series of interviews with social edupreneurs whose work we respect for how it uses technology and learning design for social impact goals. Our first interview is with Naina Boveja, founder and CEO of e-collaborate. Naina and e-collaborate are doing some great work in using technology to bring kids together globally and introduce kids to the concept of service and hands-on education. Designs2Learn: Can you provide a quick snapshot of e-collaborate for our audience? Naina Boveja: e-collaborate started in 2010 with the idea of connecting classrooms and communities globally. We developed programs in clean drinking water for the K-12 audience. Since then, we have spent a lot of time working on a Virtual Internship Program that connects high school students to non-profits across the globe for the purposes of learning empathy, career readiness skills and social entrepreneurship. How did you get into the world of edupreneurism? What initially inspired you? I had always been involved in the non-profit world as an intern or volunteer, but never really thought I could start one on my own. Since I had no idea what I wanted to do after I graduated from college, I thought it would be valuable to offer programs to teens that could help them make that difficult decision and help them choose a path. What were some of your initial challenges? How did you overcome them? Since I was new to the education space, I learned a lot about the “system” and the way things are done in schools. I also realized that we need to provide dynamic and engaging programs that students can do on their own, instead of requiring a teacher to spend class time to try our programs. Teachers have so many things on their plates and our intention was to help provide programs that would be meaningful and add to a student’s life, not burden a teacher’s. We have started reaching out to other avenues, including PTAs, career centers, global studies programs, private schools, and schools with a focus on global education for a better fit. Can you tell us about the Virtual Internship program you are currently working on? The Virtual Internship program (http://vip.e-collaborate.org), as I mentioned above, connects students to NGOs across the globe for a “virtual internship experience.” They fill out an application based on their interests and are matched to one of our partnered NGOs. We introduce a Mentor/ Teacher component to help support students and provide feedback. Teachers can chose to fulfill the mentor role by having a class of students who are virtual interns, and they can follow their students and give meaningful feedback before the work is submitted to the NGOs.. The platform is engaging and dynamic with videos, interviews, presentations, and activities for the students to complete. We are also introducing the idea of a “social resume” to the program, where students can highlight the work they are proud of, keep track of their volunteer hours, and share the link in their resumes, cover letters, and college applications. What type of responses are you getting from your current participants? Current participants and people in general are impressed with the platform and the idea. We are trying to strike the right balance between interactions with the non-profits, and provide a meaningful experience for the students. The virtual internship program is being launched this year, and we are still looking for students to sign up to get more feedback. What are your plans for growing the program? Currently, we are reaching out to schools and teachers within our network. I have also recently started my M.A. at Georgetown University, and am working to spread the word through that community and reaching out to different groups. I am already impressed with the resources Georgetown has, such as the Center for Public and Non-Profit Leadership, Hoya Entrepreneurs, and the Beeck Center for Social Impact & Innovation. I plan to utilize as many resources so I can continue to help spread the word. What are some projects on your roadmap? Right now, we are focusing on getting more students signed up for the Virtual Internship Program. In the future, I hope to continue to provide programs that help young adults learn valuable skills that they can carry with them throughout their lives. What advice do you have for others who are interested in focusing on educational projects for social impact? I think ideas are best realized in a supportive, collaborative environment. I always feel talking to people about my ideas and getting their feedback helps create a better project. I can’t stress how important feedback is, because sometimes you have an idea about something and it could be so much better when you take into consideration different perspectives. Stay tuned for updates on learning design for social impact and more from Designs2Learn. This entry was posted in Educational Technology, Experiential learning, Internships, K-12 Education, Learning Design, Service, Social Impact on September 23, 2014 by Sheri Handel. As we continue to explore the appropriate blend of learning across the educational continuum, the recurring themes that arise include the need for more individualized instruction, the importance of project-based learning, and the role that mentors can play in the development of our students and employees. Today, we’re going to look briefly at the world of unschooling and examine how some s best practices arising from one system may be applied to the other. John Holt, the teacher and writer is credited with coining the phrase “unschooling” to refer quite simply to “learning without going to school.” Holt’s many works detail his belief that children should learn according to their own curiosity and interests, that they spend more time out of school, and that they learn from a larger circle of teachers, including from their own peers. Holt had six years’ experience teaching in the fifth grade before he “dropped out” in the late 60s to focus on writing, lecturing, and consulting with school systems across the country. What Lessons Can We Derive? Today everyone is encouraged to be an innovator, and more and more, we look throughout the entire chain of command to ensure the success of the organization. The sense of individual responsibility that is required for such success within large corporations and self-owned businesses is something that has to be nurtured early on. When we look at the hallmarks of the unschooling movement, we can see some of the qualities that help to foster such self-directed and innovative practices. This begs that question as to whether unschooling is the only means by which to nurture independent thinking, to increase the sense of individual responsibility and to make better use of peer engagement and outside experts in the learning process. No, but it does encourage us to examine the current blend of learning, the role of test-driven curricula, and the potential to a move toward an increased ratio of project-based learning, DIY or maker-driven blended learning and even “e-learning days,” those days off from the brick and mortar complex to individualized projects completed at home and which still contribute to students’ completion of their graduation requirements. The introduction of blended learning programs in the schools addresses at least the issue of more support for individualized learning, and there is growing evidence of more successful collaborations between the public and private sectors through which an increased number of outside experts are engaging with our students in the schools. Two groups that I’ve enjoyed following are iMentor and Tools at Schools. Unschooling has provided a reasonable alternative for many families for whom traditional education was not an option. By looking at the benefits extolled by its own practitioners and the evidence of their successes beyond the K-12 arena, we may derive some additional best practices for preparing our next generation for adulthood and a 70:20:10 workplace. This entry was posted in 70:20:10, Experiential learning, K-12 Education, Learn by doing, Learning Design on September 18, 2014 by Sheri Handel. 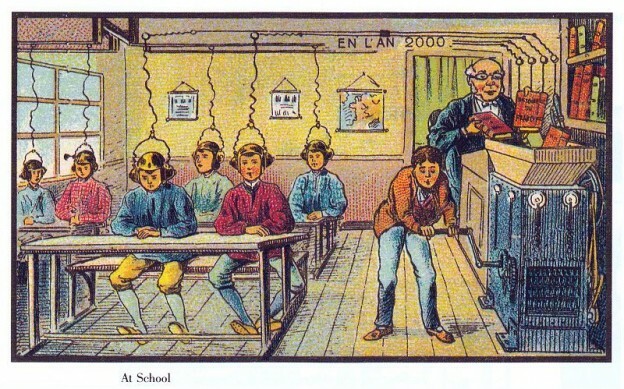 This powerful image, called “At School,” first appeared in a series called “France in the Year 2000,” postcards created for the 1900 World Exhibition in Paris. In this prescient series, artists imagined what life would be like in the year 2000. The series is posted to The Public Domain Review, and I first saw it via a link from the innovative folks at Rise Out. What is so interesting about the series is how insightful some of the concepts were in envisioning how technology would impact on people’s lives in all aspects ranging from daily chores such as housekeeping to agricultural practices and warfare. What remains so interesting today is how these images can help us reflect on where we are today and where we would like to be in terms of how to use technology to improve our lives. As we see more and more applications of technology-assisted instruction and the principles of blended learning enter the discussion over best educational practices, we realize that 70:20:10 has already made an appearance in classrooms, although it may not always be referred to as such. It’s only fitting to consider how “the blend” will evolve over time. Content that needed to reach the greatest number of employees. Courses covered infrequently at remote locations. Content considered pre-work to other training activities. Content that changed so frequently that it’s difficult to keep the audience up-to-date. Content that put the learner in harm’s way (use of simulations covered this). Content requiring significant drill and practice to master. Content linked to regulatory compliance or certification. While some of these still hold true as reasons for determining the nature of delivery, decisions go beyond how to deliver a course, but how to drive performance on a regular basis. As online learning has become more of the standard mix in the corporate environment, conversations have evolved and become more focused on informal learning and how that can best be applied within the workplace. So, the blend” is now less about combining online with face-to-face but more about the degree of formality in the mix. The 10% (or more, percentages do not have to be exact) of formal learning most likely includes both face-to-face instruction and online learning components. The larger concern is how to best provide the tools and management over the other 90%. How can organizations best provide the informational resources and expertise to increase employee engagement and improve employee performance? Technology in the form of performance management and individualized learning plans can support the formal part of the equation while online coaching and mentoring tools, personalization features and capabilities around user-generated content all contribute to making more robust informal and social learning. What is Driving Blended Learning in K-12? In a lot of classrooms nowadays, “blended” in many cases has come to mean a blended modality within the classroom itself. Teachers are utilizing technology-assisted instruction to better enable them to carry out individualized instruction, assigning online activities to individual students and groups while working one-on-one (or in small groups) with others. It’s no secret that a great deal of blended learning in K-12, and the attendant technology offerings, can be tracked to Common Core and concerns around meeting the standards. We’re not going to enter that debate here, but to see this blend occur in this manner is interesting and has a lot of implications for the future of learning. Project-based learning, DIY Learning and the Maker Movement are trends that reflect the growing confidence in experiential learning and how we can strengthen the bond between how you learn in school and how you learn on the job. As we’ve discussed previously, we see all manner of learning moving in the direction of a model much like that of 70:20:10. While the percentages may differ, and where the bulk of learning activity along the continuum may reside within a more formal environment for some and less formal for others remains to be seen. As online learning enters the K-12 environment and teachers are provided tools to address individual learning styles more efficiently and more effectively, students also become better equipped to manage or direct their own learning. And as these students mature, and utilize more of the tools at their disposal to support their learning, they enter the workplace with even more skills to address the problem solving required of them. This entry was posted in 70:20:10, Corporate Learning, Experiential learning, K-12 Education, Learn by doing on September 16, 2014 by Sheri Handel. As corporations and educational institutions either exult in or struggle with the evolution of learning, debates continue to rage over the myriad of technologies available to achieving success. According to Bersin by Deloitte, annual spends on learning are back to pre-2008 levels. Brandon Hall is reminding us to connect learning to organizational goals. Watch your KPIs! There is much to sort through. At the end of the day, one change in perspective is going to make all the difference: We simply must stop considering learning to be a one-time event and to approach learner success with a continuous learning strategy in mind. Here are the top five things you need to consider when mapping out a continuous learning plan for your organization. 1. Can you provide a continuous learning environment for your employees? Despite the non-stop discussions over the appropriate selection of learning management systems, and despite the fact that 42% of organizations are looking for a new LMS, an LMS alone is not the solution. These discussions miss the point. Yes, you need a high quality LMS to track learning, manage learning plans and competencies, and depending on the nature of your business, be able to provide a rich set of data to see how learning is supporting your organization’s business strategy. But in the absence of the easy access to resources, company communications, and access to experts and peers, the LMS itself is not going to get you to where you need to be. Let’s break it down further. 2. What kind of support can you offer for completing everyday tasks? Learning happens every day on the job, and part of the way to help your employees perform better is access to the resources they need to get the job done. Whether it’s a library of best practices, sales presentations, product specifications, case studies, etc., how easy is it for your teams to find the information they need to meet the needs of your customers? 3. Where are your experts hiding? How easy is it for employees at any level of the organization to get help when training and resources don’t provide them with what they need to know? What is the mechanism for requesting help? It should not be phone or email. And reverse the roles and ask yourself, how easy is it for experts to keep up with the requests? Mentoring is key to a solid continuous learning strategy, and you should be providing the tools and processes to make this happen. 4. How engaging is the actual training you provide? None of this is meant to diminish the importance of well-designed and professionally executed training. There’s a YouTube video out there for nearly everything, and we love Khan Academy and the fantastic resources that are out there today that can and should be available to help drive learning and performance. But when you target the 10% of formal learning you need to provide today, don’t forget to bring along your instructional design team and make it worth your learner’s while. 5. How connected are your employees to the successes and failures of your organization? Another vital component of your continuous learning environment should be regular communications from senior leadership as to how your company is doing. An environment in which your CEO can report by blog, video post, etc. about recent wins and even losses makes for a cohesive ecosystem in which everyone understands the part they play. Lessons learned through this type of communications strategy are no less important than those in a 5-minute video or one-hour training module. 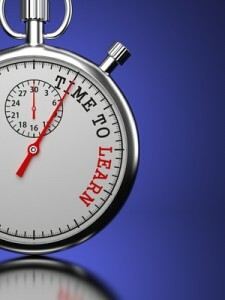 Continuous learning is a key strategy for success in the workplace. Promoting continuous learning is something we should start doing in kindergarten and throughout one’s formal education. And once people get to the workplace, we should have the tools to support continuous learning and company success. This entry was posted in Corporate Learning, Educational Technology, Higher Education, K-12 Education, Learning Design on September 10, 2014 by Sheri Handel. Last spring, I took a road trip with my then sixteen-year-old as we visited five colleges in six days. We drove a huge loop, traveling nearly 800 miles in total, heading northwest from New York City, where we live, stopping in Ithaca, Syracuse, Benington, Boston, and western Connecticut. It’s an annual rite of passage for thousands of families, and for someone in my line of work, one that brought into very sharp focus much of what I have been treating as somewhat . . . academic . . . these past few years: the value of a four-year, brick and mortar college experience in preparing people for adulthood and the workplace. 1. You can’t get a job without a college degree, but what’s the likelihood of getting a job with a college degree? According to the National Association of Colleges and Employers (NACE), in 2013, only 29.3% of graduates had found jobs prior to graduation. A follow-up of recent grads revealed that 59% had found jobs 6-8 months after graduation. What combination of skills, luck, and extra-curricular activity did it take for those 59%, and how much of a role did their alma mater play in their landing that job? The colleges we visited ranged from enrollments just over 21,000 to just over 700. Dormitories ranged from concrete boxes to cozy cottages. The curricula we were exploring went from highly prescribed to incredibly open. 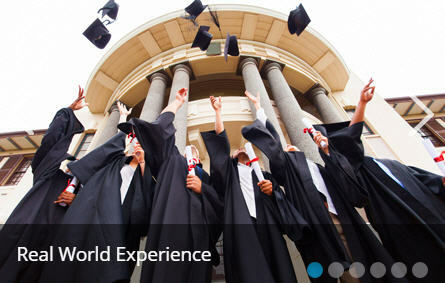 The opportunities for study abroad varied somewhat, particularly when looking at specialized curricula, but most of the colleges provided a good amount of support for making that happen. All of these factors come onto play in terms of learning to function in a larger social group, to make yourself heard, to plan ahead and make decisions for yourself, and to experience other cultures. What stood out most to me in terms of preparedness were the opportunities for internships available at the different institutions and how integral a part they played each college’s overall curriculum. Without the opportunity to actually put into practice what you’ve been learning in the classroom, the chances for being prepared for the working world decrease substantially. Or without the exposure to the potential range of career options and job roles within those for any given career, the less prepared a graduate is and the more unrealistic the scenario of one’s education becomes. I cut my instructional design teeth on the development of complex, scenario-based learning programs. In these programs, we placed our learners in different roles in which they were required to either make decisions for themselves or advise others. While our learners were provided with tools with which to make decisions, we expected them to fail, and when they did, they had access to knowledge building and better decision making. 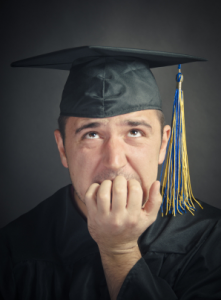 So, at the end of the day (or at the end of a nearly 800-mile journey), the great value of a four-year, brick-and-mortar college education is the series of scenarios one engages in on the road to adulthood and employment. How safe or how realistic those scenarios need to be really depends on the student and the selected program of study. But it is the blend of formal and informal learning, the academic and experiential learning that is going to help prepare people for the workplace and drive their success once they arrive. This entry was posted in Experiential learning, Higher Education, Internships, Learn by doing on September 8, 2014 by Sheri Handel. A recent conversation with a respected educator friend prompted me to add Tracy Kidder’s “Mountains Beyond Mountains” to my end-of-summer reading list. Her recommendation coincided with plans for launching Designs2Learn and provided some unique perspective on the concept of service. 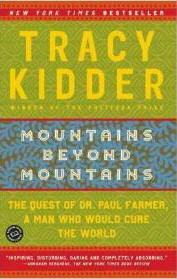 Many of you are already familiar with Tracy Kidder’s work through “Among Schoolchildren,” and many may know of Paul Farmer through either Kidder’s work or Farmer’s own writings. Kidder is a world-class storyteller, and Farmer a medical practitioner and anthropologist whose quest for social justice is nearly impossible to replicate, but whose example is inspiration to at least try. Farmer is an out-of-the-box kind of guy not only because he spent part of his childhood living in a school bus, but also, and more importantly, because of how he has approached problem-solving some of the most challenging health and social issues of our day. There are quite a few lessons to be drawn from Farmer’s story for educators, designers, and managers of learning experiences in terms of the impact we can make on people’s lives through the work we do. Farmer’s work often goes against the status quo of those in his own and related fields. Whether it is the time spent visiting patients in the far flung villages of Haiti or prisoners in Russia, or the amount of money spent per patient, or the range of services rendered, his work is seen by some as not only exceeding expectations but contradictory to accepted practices. In the case of his beloved Haiti, as well as in Peru and Russia as well, it is not only the relief of pain and suffering from TB and AIDS, but the eradication of the conditions that caused the development and spreading of these illnesses that he has fought for. In our own work as teachers, designers, and managers of learning, we all have the capacity for enormous change. Farmer read the works of Rudolf Virchow while a student at Duke, and the medical anthropologist’s perspectives on service to the community had a huge impact on him. Virchow himself had led a campaign for compulsory meat inspection and designed a sewage system for his native Germany while also being the first to propose that the study of disease should be focused on changes in the cell. In Virchow, Farmer saw a model for social medicine. In Farmer’s work, we can see a model for social impact within our respective fields. When Farmer was working in Peru to treat a relatively small number of MDR (Multiple Drug Resistant TB) patients, the prevailing argument was that MDR was not as pervasive as drug-susceptible disease and that it was simply too expensive and difficult to treat in these areas. Most people felt that as a clinician, Farmer was too focused on the treatment of individual patients to see the big picture required for successful public health initiatives and that efforts should continue to center on drug-susceptible disease under the current set of practices. Not only did Farmer believe that every patient deserved to be treated, he knew the data proved that the then current course would lead to the spread of MDR and increasingly resistant strains of the disease. He saw both the big picture and the individual impact that was required to get the disease under control. With new technology being continually developed for educational purposes, it makes sense to not only share but focus some of this development with and on the disenfranchised or underserved. This was Farmer’s response to the mother of a three-year-old patient who was thanking him for helping to save her son from MDR. In his diagnosis of the case and ensuing recommendations for treatment, Farmer drew on his vast understanding of infectious disease, but he also needed to help his fellow doctors in Peru go beyond established, approved procedures to treat this particular type of TB. When his efforts began to prove successful, as in the case of this young child, Farmer not only provided a cure for the individual patient but enacted considerable social change as well in reducing the costs of treatment and incidences of the disease globally. As teachers, designers and managers of learning, we share the responsibility and privilege inherent in being able to make an impact on individual lives as well as the potential for social change that comes with education. Stay tuned in the coming weeks for more from Design2Learn on how people in the field of education are using their skills and resources for social impact. This entry was posted in Service, Social Impact on September 4, 2014 by Sheri Handel. Dialoging (a polite term here at best) with my 17-year-old about her approach to one of her summer homework assignments, she turned what was going to be my argument on its heels. Instead, she reinforced much of what I’ve been advocating for professionally, and she illustrated more than ever the need for a more pragmatic approach to learning at all stages across the educational continuum. My initial query into her approach centered on how closely she had read the assigned material for a particular class. The assignment consisted of reading the assigned book and locating at least five sources to substantiate responses to a number of questions on key points of the book. Some potential resources were recommended for the outside sources but not much else in the way of methodology or support for completing the assignment. I then asked her about the outside sources she selected, whether they were ones of her own choosing or ones that had been shared by friends. Some were provided by friends (there is much ad hoc team work that goes on that one wonders why team-based projects still create so much angst) and others she found herself, several simply in the process of trying to understand the content of the assigned source itself. “You of all people should understand why I work like that,” she declared, and I knew that she was paving her own way through the process of learning, albeit with some peer support and some increasingly adept, self-taught research skills. Two articles from August’s issue of T&D highlight the need to develop more independent learners from a corporate perspective. In “Teaching Learners to Fish,” Allyce Barron outlines an approach for placing “learners in an active role inside the training room, and out on the job after the training session is over.” In “Partnering to Improve Time to Competency and Efficiency,” Emily Dunn and Adam Krob provide an overview of and case for Knowledge Management and Knowledge-Centered Support in the workplace. Both pieces extol the long-term benefits for companies of teaching employees how to more effectively control their own learning and to become more efficient seekers of knowledge. This is something we can and should start teaching earlier on. Just as corporations and universities are including the role of “curator” into their learning teams to help learners sift through the noise of available resources, so should K-12 schools support their student performance through the carefully guided acquisition of knowledge management skills and practices. This entry was posted in Corporate Learning, Higher Education, K-12 Education, Learn by doing, Learning Design on September 2, 2014 by Sheri Handel.